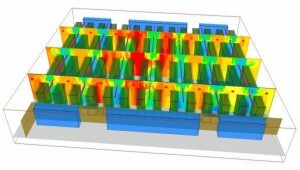 CFD analysis performs a vital role within data centers design, management and operational processes. 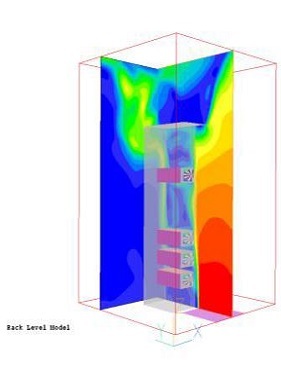 CFD helps maximize the performance of cooling and ventilation systems model the impact of additional loading and equipment distribution and investigate shut-downs scenarios. PHOENICS incorporate standard and product specific objects for High and low density cabinets, racks, servers,PDU's, CRAC's and ACU's as well as fans, diffusers and emergency fire suppression measures. Underfloor ventilation systems, cabling ducting, permeable and semi permeable floor tiling are all taken in consideration, plus ceiling vents, grilles, extracts and recirculating systems. How it works: A streamlined method has been developed at CHAM that constructs a list of data center contents together with their key parameters : lay out of all cabinets, dimensions, air flow rates, head output orientation and other parameters for each one with a single spreadsheet. The spreadsheet is read by PHOENICS, enabling common data center objects (i.e CRAC's, cabinets, floor/ceiling grilles) to be constructed automatically. This method allows rapid changes to be affected such as scaling IT loads by changing a single value in the spreadsheet. PHOENICS handles with ease complex room and equipment lay outs, non standard units and both multi-room and multi-storey environments. External influences such as solar gain are readily introduced. 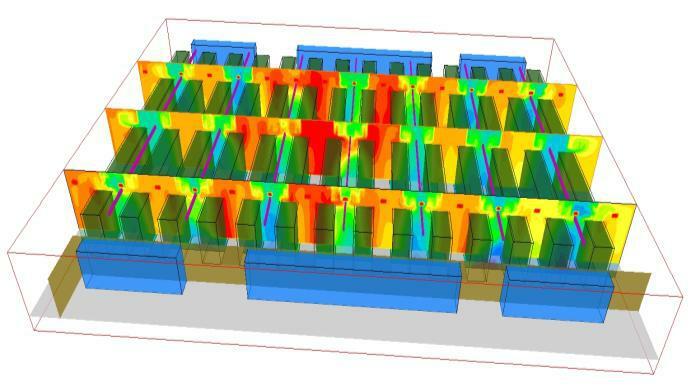 The versatility of PHOENICS/FLAIR is such that it is also appropriate for modeling related equipment, such as the performance of externally-located chilling units subject to the influence of varying environmental conditions, heat extracts from generators and exhaust outlets. 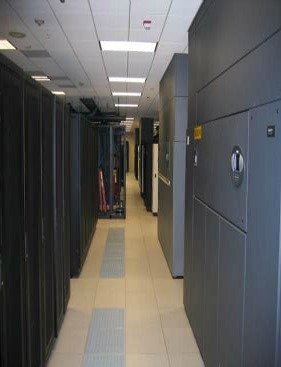 Engineering and consultancy in the optimization design of data center are also available. Please contact us for more information.